The cost to the federal budget of negatively geared rental property deductions has fallen 12.5 per cent to $10.9 billion, the lowest level in four years because of record low interest rates. A the start of a federal election campaign in which negative gearing will be a key issue, the latest Tax Office statistics show the country’s two million landlords claimed interest deductions of $21 billion, a decline of 9 per cent, while earnings from rents were flat at $38 billion. The figures, published on Friday and based on taxpayer’s 2013-14 tax returns, show 62 per cent of landlords are returning net losses, down from 64 per cent the year before. A record 776,672 taxpayers earned a net profit from their investment property in fiscal 2014, an increase of 44,322 people compared with the year before. 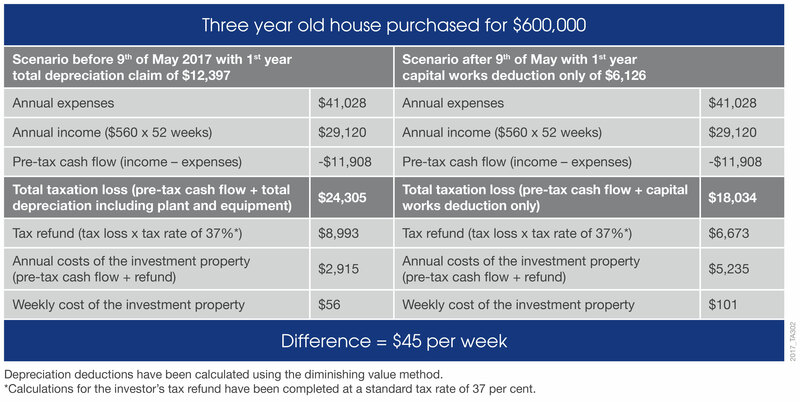 The Tax Office statistics show net capital gains being reported by taxpayers jumped 37 per cent to $14.4 billion, far faster than the rise in the property or stock markets. The big rise was because losses from the global financial crisis have now washed through the system, inflating the level of gains. From 1 July 2016 there is a 10% non-final withholding tax on payments made to foreign residents that dispose of certain taxable Australian property. 10% non-final withholding tax on payments made to foreign residents that dispose of certain taxable Australian property. Interests in Australian entities that predominantly have such assets – this is called an indirect interest. The Bill introduces a clearance certificate model to provide certainty to purchasers regarding their withholding obligations. The clearance certificate confirms that the withholding tax is not to be withheld from the transaction. For real property transactions valued above $2 million, the purchaser must withhold 10% of the purchase price unless the vendor shows the purchaser a clearance certificate from the ATO. This certificate can be provided to the purchaser on or before the settlement of the transaction. Where a clearance certificate is provided, the purchaser is not required to withhold an amount from the purchase price. If the vendor fails to provide the certificate by settlement, the purchaser would be required to withhold 10% of the purchase price and pay this to the ATO. This means Australian resident vendors of real property above $2 million will be required to apply for a clearance certificate to ensure no funds are withheld from the sale proceeds. The vendor may apply for a clearance certificate at any time at which they are considering the disposal of real property. This can be before the property is listed for sale and is valid for 12 months. the automatic issuance of a clearance certificate which removes the need for the purchaser to withhold the 10% from the sale proceeds. In straightforward cases where the ATO has all the required information, it is expected that clearance certificates will be provided within 1 – 14 days. Where there are data irregularities or exceptions, some limited manual processing may be required and the clearance certificates could be provided within 14 – 28 days. Higher risk and unusual cases may also require manual intervention which could take longer. Where a withholding obligation exists, the purchaser must pay the withholding amount to the ATO at settlement (i.e. 10% of the purchase price).The penalty for failing to withhold is equal to the amount that was required to be withheld and paid.